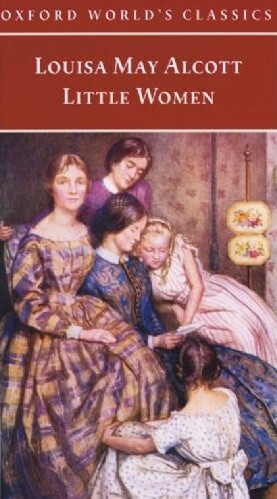 Author Louisa May Alcott sadly passed away at the age 55 in Boston, on March 6, 1888, born November 29, 1832.She is best known as the author of the novel Little Women and its sequels Little Men and Jo’s Boys.Raised by her transcendentalist parents, Abigail May Alcott and Amos Bronson Alcott in New England she grew up among many of the well-known intellectuals of the day such as Ralph Waldo Emerson, Nathaniel Hawthorne, and Henry David Thoreau. Nevertheless, her family suffered severe financial difficulties and Alcott worked to help support the family from an early age. She began to receive critical success for her writing in the 1860′s. Early in her career, she sometimes used the pen name A. M. Barnard. Pink Floyd are ranked at number 51 on Rolling Stone magazine’s list of “The 100 Greatest Artists of All Time”, with David Gilmour ranking 14th in the greatest guitarists list. Largely due to the success of their albums the band was ranked No. 3 in Colin Larkin’s the ‘Top 50 Artists Of All Time’, a ranking based on the cumulative votes for each artist’s albums that appear in the All Time Top 1000 Albums. Numerous artists have been influenced by Pink Floyd’s work: David Bowie has called Syd Barrett a major inspiration, The Edge (U2) also bought his first delay pedal after hearing the opening to Animals; and the Pet Shop Boys paid homage to The Wall during a performance in Boston; Marillion guitarist Steve Rothery has cited Wish You Were Here as a major inspiration; and many other bands, such as the Foo Fighters, Dream Theater, My Chemical Romance, Porcupine Tree, The Mars Volta, The La’s, Queen, Oasis, Iron Maiden, Stone Temple Pilots, Coheed and Cambria, Tool, Queensryche, 30 Seconds to Mars, Scissor Sisters, Rush, Radiohead, Gorillaz, Mudvayne, Nine Inch Nails, Korn, Primus and the Smashing Pumpkins, some of whom have recorded Pink Floyd covers, have been influenced by them.